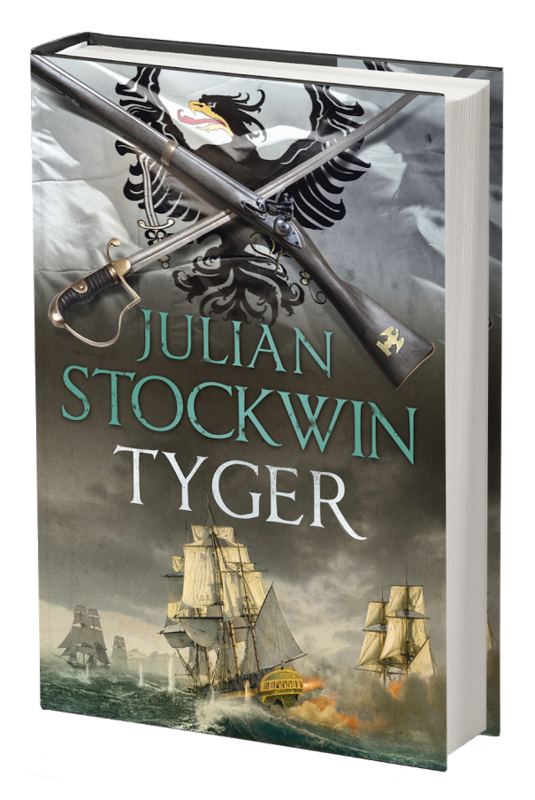 I’ll be offering a Special Collector’s Set of my next book, Tyger. This will comprise a signed, numbered and embossed UK First Edition and a signed cover postcard. The Set is strictly limited to 500. To add your name to the list email admin@julianstockwin.com with your full details, including postal address. The Set, inclusive of p&p, costs £26.99 for delivery to addresses within the UK and Europe; £34.99 for delivery to addresses in the rest of the world. If you pre-pay, you’ll go into the hat for a full refund of your purchase price! This offer is valid until the end of April. The book is published on October 8 and we’ll get the Collectors Sets out shortly before that date. Please include me in. I promise to pay. Did not see a link, but I am in, 100%.